Articles This Police Officer’s Son Thrashing Woman Mercilessly !! Horrific Video !! This Police Officer’s Son Thrashing Woman Mercilessly !! Horrific Video !! There was a time when she was in love with Rohit, the son of Delhi Police sub-inspector Ashok Singh Tomar. Now, she’s just scared, hoping that the same Delhi Police will restrain Rohit who has, over the last two-and-a-half months since their breakup, repeatedly threatened to harm her with assault, acid attacks and abuse. Things came to a head when an allegedly drunk Rohit turned up at her house Tuesday night. “He started abusing us and throwing rocks at our house. I hadn’t told my family or anyone close to me that I was being harassed, but after they found out, they supported me in filing an FIR,” the 22-year-old makeup artist, told ThePrint. With her mind made up, the woman filed a complaint Wednesday at the Tilak Nagar police station near her residence in west Delhi. Following this, Rohit was taken into pre-emptive custody. But Thursday brought another twist. Rohit had sent the woman a video 15 days ago, which showed him thrashing and kicking an unidentified woman. He had threatened her that she would meet the same fate if she didn’t marry him. The video found its way to a Facebook page called ‘Turban and Beard’ Thursday, and went viral. After this, the woman updated her complaint with more charges. 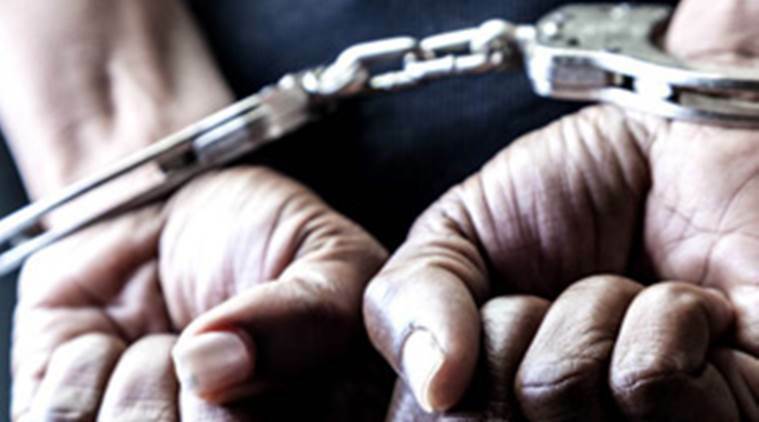 The ASI at Tilak Nagar police station, Madan Lal, confirmed the police had registered an FIR under Section 354 (assault or criminal force to a woman with intent to outrage her modesty) and Section 506 (criminal intimidation) of the Indian Penal Code. But the woman alleged Rohit wasn’t in the police lock-up when she went to the station. “I think they paid his bail and took him,” she claimed. Asked about the case, Tilak Nagar SHO Satya Prakash said he did not know where Rohit was. “We did arrest him and send him to court, and now I’m finding out the status,” he initially told ThePrint. Later, he said “Rohit was taken into pre-emptive custody” after the woman filed the complaint, but she “added more charges through an official FIR today”. He added “I don’t know too much about the situation” and also that he couldn’t divulge too much information. He asked this reporter to speak to DCP West Delhi Monika Bhardwaj, who said Friday that she also does not know where Rohit is. “When they find him, they will arrest him,” Bhardwaj said. Union home minister Rajnath Singh has taken cognisance of the video and spoken to Amulya Patnaik, commissioner of the Delhi Police, asking for action to be taken in the case. In the 1 minute 44 second-long video clip he had sent his ex-girlfriend, Rohit is seen beating up a woman at a call centre. He slaps, kicks, verbally abuses, and uses his elbows and knees to strike her, while the woman pleads with him to stop. The person who recorded the video was Ali, a friend and classmate of Rohit’s, who works at this call centre. He can be heard telling Rohit repeatedly to take it easy, as well as things like “Rohit, are you mad?” and “That’s enough”. He also asks the woman being beaten up to stand up. But he does not intervene. Rohit can be heard shouting what sounds a lot like the name of his ex-girlfriend, followed by calling the woman in the video a “whore”, who should “never take her name again”. The woman is heard apologising, saying “I made a mistake, please”. When contacted by ThePrint, Ali said he took this video for his own safety. “I came back from the bathroom to find that they were arguing and fighting. I was scared; I didn’t want someone accusing me of doing this tomorrow,” he said. Ali said he didn’t know the woman being beaten up, and added she might be “Rohit’s club friend”. However, he said both were drunk at the time of the assault. The woman who filed the FIR is also unsure who the woman is. According to Ali, Rohit and the woman met two or three days after the incident and “sorted it out”. “She said she won’t file a complaint as she was also drunk,” Ali said, adding that he had not heard from Rohit since that day. The woman said her relationship with Rohit lasted about a year-and-a-half, and they were even considering getting married. Her parents were doubtful, and wanted to make further enquiries. “Rohit and I have lived nearby for a long time. So my father asked neighbours and friends about him, and we heard some bad things,” she said. By that time, however, she had already begun to notice destructive patterns in Rohit’s behaviour. “He would drink all the time, started doing drugs, would abuse a lot, and didn’t even have a job. So I started distancing myself even before my parents started asking about him,” she said. After their breakup, Rohit went to the extent of threatening her with acid attacks, ruining her reputation, and killing her family. 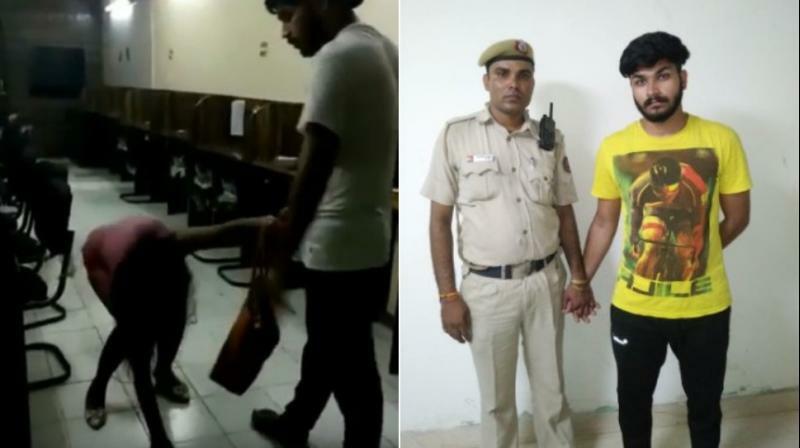 The woman said on hearing that she had filed a case in the Tilak Nagar police station, Rohit told her the SHO is a good friend of his and his father’s, so “nothing will come of this”. She included this piece of information in her complaint, which she filed with SHO Satya Prakash. She alleged that the SHO was “upset that his name is in the report”, and recommended that she take up the matter with the DCP. “He wanted me to remove his name from the report, but I refused. I think he got upset so now he’s telling us to take the matter elsewhere,” she said. Rohit’s father, sub-inspector Ashok Singh Tomar, also allegedly threatened the woman’s family using his position. Rohit has been arrested after Union Home Minister Rajnath Singh intervened, calling out the Commissioner of Delhi Police to initiate proper investigations via Twitter. Previous articleThe Cutie Pie Who Advised Her Mother Is Smithika & Her Videos Are Going Viral !! Next article“If Mohammad Kaif & Katrina Kaif Are Relatives ? ?” Asked Fan !! You Must See Mohammad Kaif’s Reply ! !